Flat roofs are compact, space-saving, provide easy access to the roof and are relatively easy to install. R & J Roofing provides a range of high-quality flat roofing services and a brief description of each of these systems is given below. Call us on 01383 432 498 and we��ll be happy to walk you through the various features and help you decided if this is a good roofing system for you. 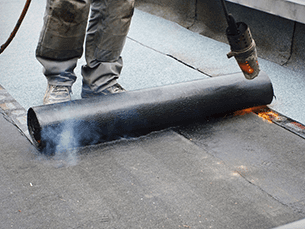 Our services cover flat roof repairs. Ãƒâ��šÃ��Â� Copyright 2019. All Rights Reserved.